Home » Are You the Victim of a Misdiagnosed Traumatic Brain Injury? It is critical that a traumatic brain injury (TBI) be diagnosed immediately, not only for the necessary treatment and therapy to be administered, but also to avoid complications or further injury. A TBI can have long-lasting (sometimes permanent) life-altering effects, and early diagnosis is critical for recuperation, overall well-being, and the ability to lead a normal life. Brain injuries range from mild to severe, but all brain injuries have the potential to cause life-changing effects and impact an one’s personal and professional relationships. When a TBI is overlooked or misdiagnosed, the patient does not receive the treatment needed to heal and adapt. Misdiagnosis can also mean that a patient may be treated for a problem that has a deeper root cause – such as a mood disorder – while the brain injury itself is not adequately addressed. The TBI is not obvious. Any violent movement of the head or an impact to the skull can shift the brain and potentially cause bruising, bleeding, swelling, or tearing. Side effects of such trauma, however, are not always obvious. If emergency personnel are unaware of the circumstances surrounding a patient’s accident or injury, or if they fail to ask questions that would provide more information about potential injuries, the TBI can be overlooked. Symptoms present later. An individual who’s been involved in a car accident, for example, may not have hit their head but might have experienced a jarring motion to the skull and brain. Beyond the obvious discomfort is the possibility that such a motion caused a traumatic brain injury. The outward symptoms of a TBI might not show immediately following the accident, but it is a medical professional’s responsibility to explore all avenues for potential injury and diagnosis. Scans are not accurate. Some medical personnel may rely on brain imaging tools, such as CAT scans or MRIs, to diagnose a brain injury. Frequently, a TBI will not be detected through these tools and a more comprehensive, hands-on testing is necessary for an accurate diagnosis. Unfortunately, some medical professionals rely solely on imaging results and fail to diagnosis the TBI. Poor medical care. When patients spend time in a hospital because of injuries sustained in an accident or fall, they should be monitored for any changes to their condition that could indicate progressing brain injuries. Inadequate monitoring can lead to an overlooked or late diagnosis. Second-impact syndrome is a rare condition, but it underscores the seriousness of head injuries and the importance of a proper diagnosis. When a second concussion, even a mild one, occurs before the first concussion has healed properly, brain swelling can be rapid and severe. Second-impact syndrome is typically associated with contact sports athletes who take a hit and then go back into the game too soon, putting themselves at risk for a second concussion. The results can be fatal. The misdiagnosis of a TBI is dangerous to your health and has the potential to radiate throughout your life. 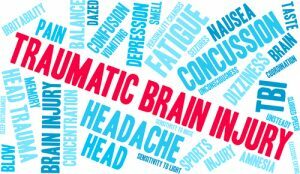 A TBI can change your habits, mood, concentration, abilities, focus, and so much more. Consequentially, these symptoms can damage relationships, interfere with your job, and interrupt your ability to lead a normal life. The misdiagnosis of a traumatic brain injury – whether the injury is mild or severe – can have catastrophic results and may be considered medical malpractice. If the TBI of you or a loved one has gone misdiagnosed or overlooked, contact an experienced traumatic brain injury attorney at Thurswell Law for a free consultation. There are no fees unless you collect. Contact us at (248) 354-2222.